Put the work in, and you will be rewarded. 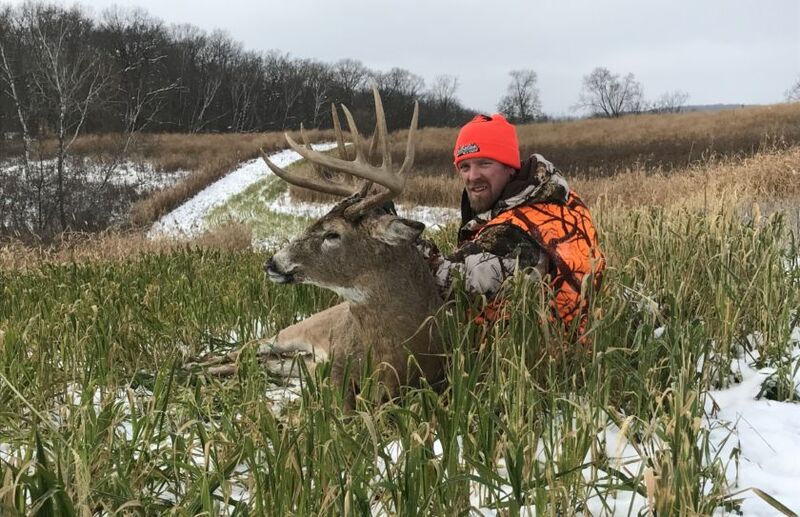 Dedication to completing his habitat design, persistence, and disciplined hunting practices helped my good friend and client Jared, harvest this stud of a Wisconsin whitetail after a 3 year journey. 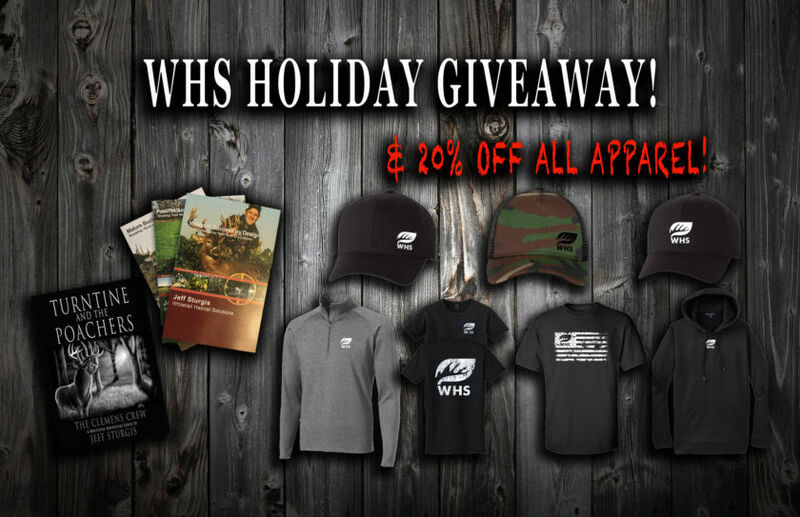 WHS is giving away 1 of each store item before the Holidays to 1 lucky winner! We are also having a 20% off sale on all apparel items through December 14th! 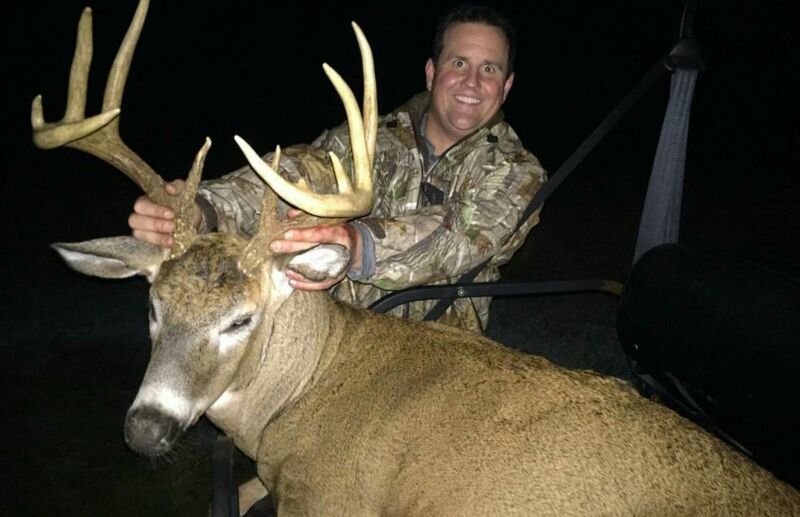 Things started off really early in the archery season for two hunters that put a lot of time and effort into their hunt. 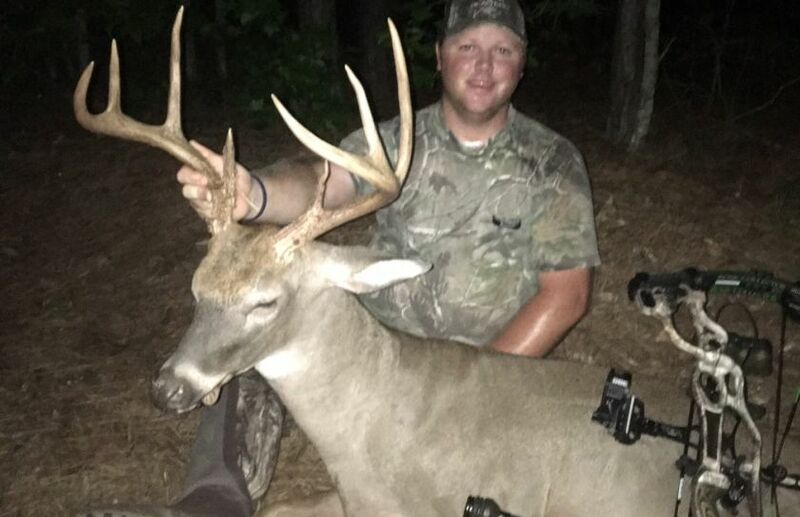 Brooks Pigg and Brennen Nading are a couple of prime examples of how much "luck" can be found, after a huge amount of hard work and dedication is completed. It's your story, we want to hear it! 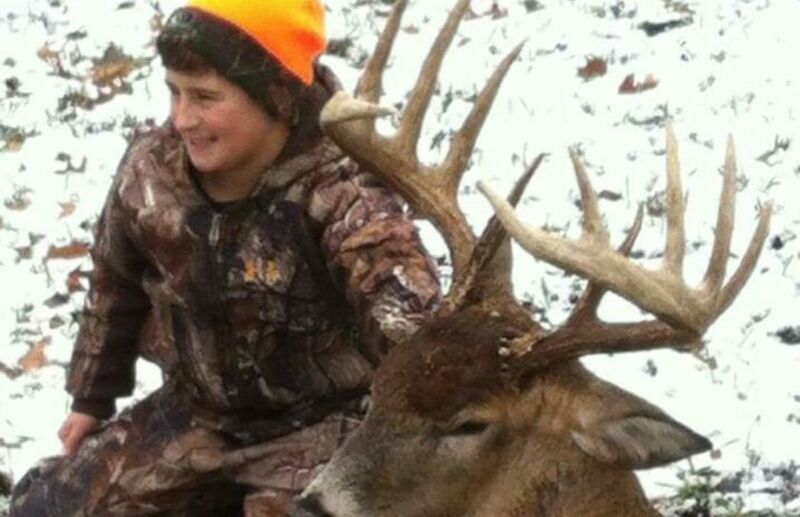 Your hunt could be featured in a WHS Sunday Success Story Blog. 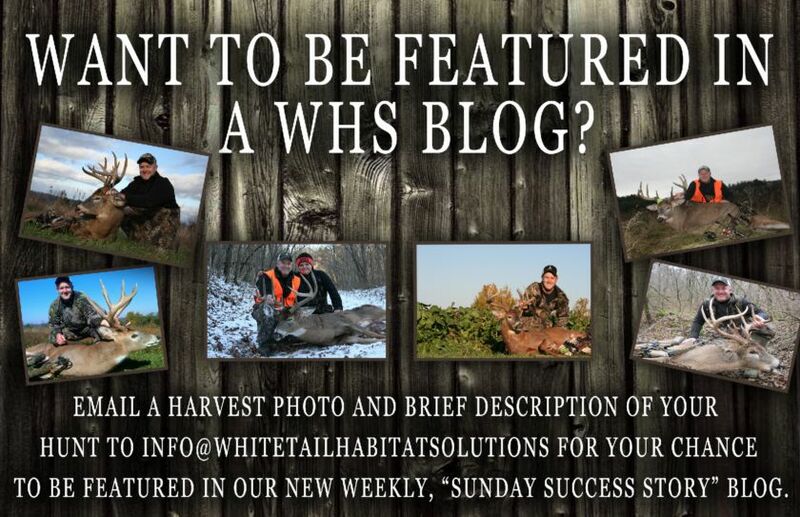 It's as simple as writing a brief description of your hunt and sending a harvest photo to info@whitetailhabitatsolutions.com! 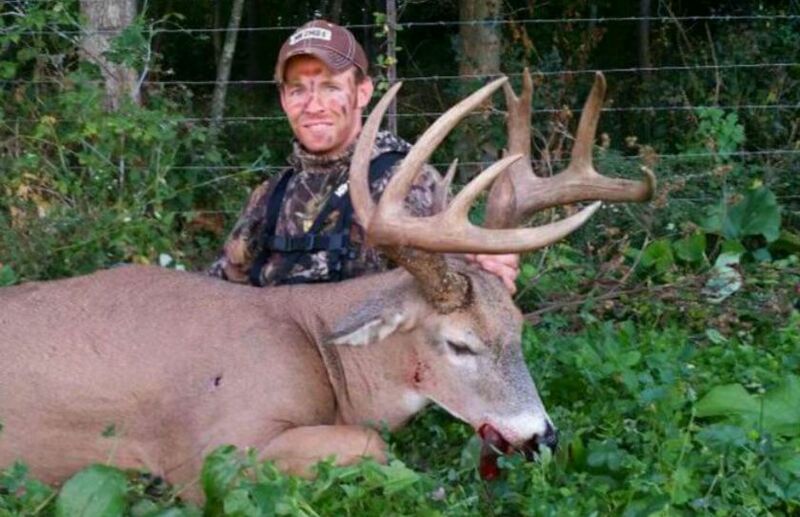 "I feel like Im in year two of land management program and the results so far has been amazing. 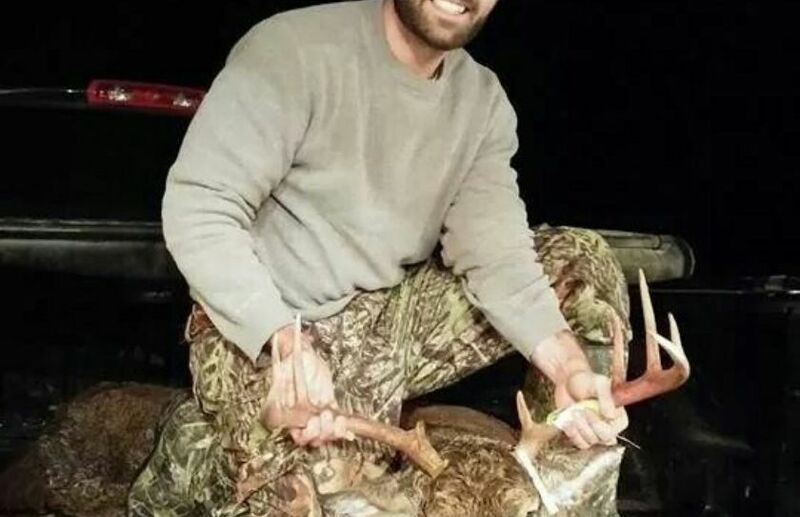 Before you came out I would see maybe one doe in a week of hunting..."
*Check out the Immediate Whitetail Sit Alert that discusses the weather necessities that combined to create the perfect conditions for Jason's hunt! 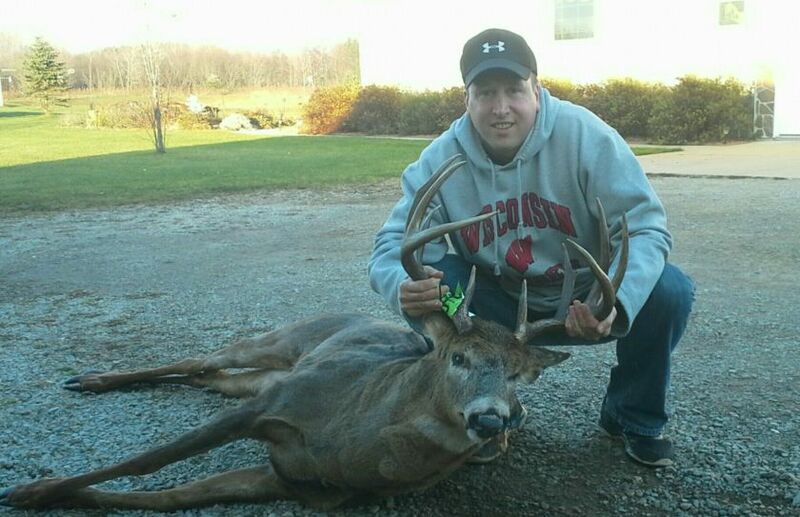 It is getting to that time of the year, and I love hearing about all of the cold front bucks being harvested, in particular in my home state of WI! 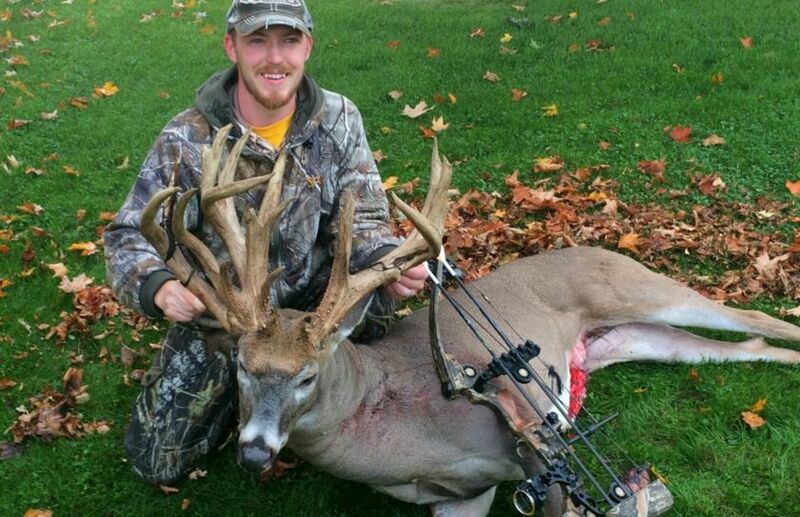 If you are connected to the hunting circles of social media, you have most likely already heard about the Nick Bauman 2015 WI giant. I want you to know how the "Success by Design" concepts have worked out. After spending untold amounts of hard days working and massive funds spent to create a hunting bonanza here, I was failing year after year. 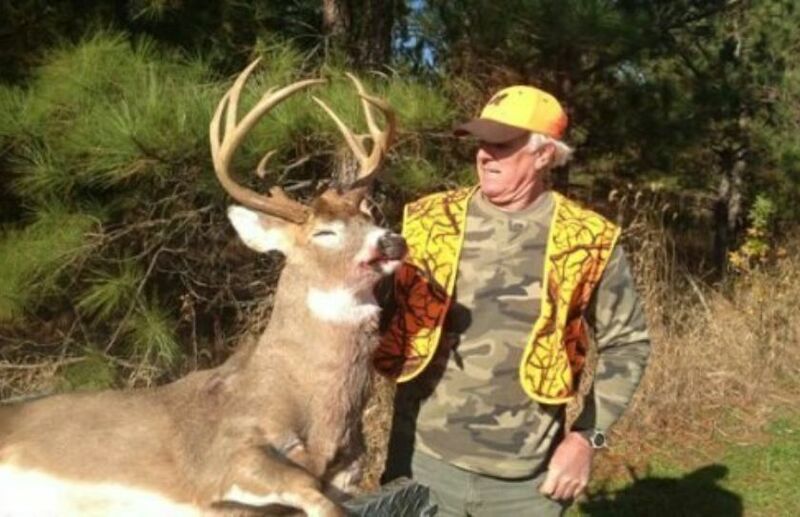 By failing I mean my hunting results were not improving.